These Eco-Friendly Packing Pointers help keep Curacao’s reefs vibrant, healthy and plastic-free. 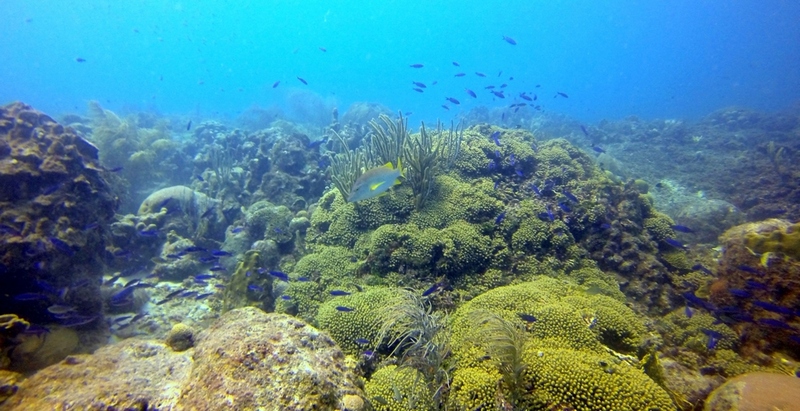 We bet you’re really looking forward to your vacation and diving on Curacao’s clean, beautiful, healthy reefs. Staying well-hydrated in Curacao is really important. So it's great that fresh, clean, potable drinking water comes right out of the tap / faucet. It's free, tastes better than some of the bottled stuff and it reduces your plastic footprint. These are perfect for your dive, beach and shopping trips instead of plastic bags. Don't have one? You're welcome to use the ones our divers leave behind for this very purpose. Or pick up one of your own once you're here in sunny Curacao, as a fun and useful souvenir. 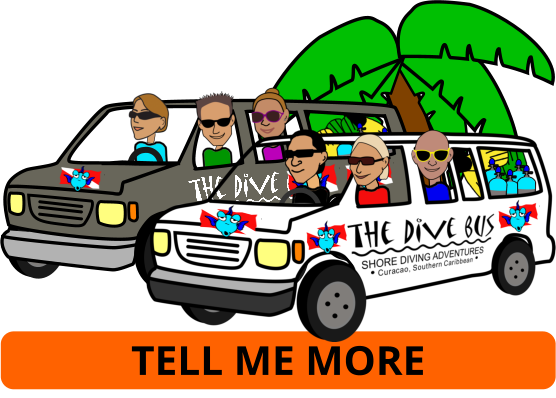 If you do end up with a bunch of unwanted / un-needed plastic bags at the end of your vacation, drop them at The Dive Bus. We'll re-use them and dispose of them properly. With Curacao so close to the Equator, sun protection is essential. According to NOAA, whilst no sunscreens have (yet) been proven reef-friendly, those made with titanium oxide or zinc oxide - don't appear to be harmful to corals. Best environmental practice for sun protection is to cover up with clothes instead of sunscreen. A long-sleeved UV rashguard and hat are ideal, or a non-oxybezone sunscreen recommended by Environmental Working Group, like Stream2Sea. Bringing as few disposable / single-use plastic items with you to Curacao as possible, means more space (and less weight) in your luggage - and less plastic in Curacao's landfill or the ocean. If you've bought a bunch of fun items for your Curacao vacation, removing and recycling the packaging at home means more space and weight in your luggage - and less plastic in Curacao's landfill or the ocean. With Curacao so close to the Equator, sun protection is essential. But sunscreens made with oxybenzone (including Banana Boat, Coppertone, Neutrogena and many others) are super-harmful to coral reefs. In fact, a single drop of oxybenzone sunscreen in 3.9 million gallons / 15 million litres of water can cause reef damage. Our neighbour, Bonaire, has joined Hawaii in approving a ban on sunscreen products containing oxybenzone, committing to be oxybenzone and/or octinoxate-free by January 1st, 2021. There's no need to wait for the ban - just don't buy or use it.